"An author should have no other biography than his books." IF ONE HAS an interest in B. Traven, it should be - as he wished - as a result of what he wrote. Traven took great effort throughout his life to avoid any cult of personality or role of fame. Traven was only a name, one of many used in his life. The man behind the names was a complex character, famous for his novels as B. Traven – and, ironically, eventually famous for being someone trying to avoid fame. We will try to trace his history, sifting the facts from the speculation wherever possible. As Traven intended, what is fact and what remains speculation is still disputed by biographers. Traven’s novels began appearing in the German language in 1926. They were sent from Mexico to the ‘Buchergilde Gutenberg’, a German Left Book Club; the author’s only contact address was a post box in a rural area. Speculation began soon after they were published; stylistic similarities in the writing style to a former anarchist comrade, Ret Marut, were noted by some of Marut's old friends. Marut was a touring bit-part actor and writer, based in Munich; he had participated in the Bavarian Council Republic established in 1919 during the German Revolution when workers councils appeared across the country. In the preceding years he had produced an individualist Stirnerite-influenced anarchist paper called ‘Der Ziegelbrenner’ - the ‘Brickburner’ (or ‘Brickmaker’). He was obviously not a purist individualist, for he participated wholeheartedly in the Bavarian movement. When it was finally crushed by troops under the direction of the Social Democrats, Marut was apparently arrested; facing a death sentence for ‘high treason’, he later related how he managed to escape in the nick of time. A wanted man, he travelled across Europe for the next three years, finally landing in London, where it’s likely he was helped by Sylvia Pankhurst, the suffragette turned anti-parliamentarist communist. But he was arrested for failing to register as an alien and ended up in Brixton Prison where he was interrogated several times by the police. It was probably the fear of being extradited back to Germany to face the treason charges that accounted, at least in part, for Traven's concealment of his identity for the rest of his life. Yet even earlier in his life he had apparently adopted a new identity as 'Ret Marut', so perhaps it was also part of a more general personality trait. During his questioning, Marut, understandably in view of the likely consequences of being repatriated, gave several false stories as to his origin and various false names. (Several decades later, this information was to give significant clues to a biographer of his real likely origins.) Marut was trying to convince the US Embassy to accept him as an American-born citizen, claiming his birth records had been destroyed in the San Francisco earthquake of 1906. Neither the US or British authorities were convinced – he was eventually released and caught a ship out of the London docks. He ended his journey in Mexico, where he settled for the rest of his life. Traven took various kinds of employment in the new country, mainly manual work, and several trips to more remote parts of Mexico - particularly Chiapas. As he developed a greater understanding of Mexican culture he would later write a series of novels based on the recent revolutionary history of the country. But his first novels drew on his own recent history, or Ret Marut's. (He was now often calling himself 'Torsvan' or similar.) ‘The Cotton Pickers’ (also sometimes known as Der Wobbly) dealt with the Mexican adventures of an American ‘Wobbly’ or member of the Industrial Workers of the World – a US-based revolutionary industrial union that also had a wider presence, including in Mexico. This was based on Traven’s working experiences when he first arrived in Mexico, in a variety of manual jobs. ‘The Death Ship’ was certainly based to some extent on his experiences on the way to Mexico and his time as a fugitive in Europe - it told the tale of a sailor who, in the aftermath of WWI, has lost his identity papers. No country will accept him or issue new identification – he is now officially a ‘non-person’. In desperation he enlists on a ‘death ship’, the only vessel that will accept those with no papers. Death ships are destined to be sunk at sea so the owners can claim the insurance money. The crew knows this and can only try to be vigilant and prepared enough to maximise their chances of survival when the ship is finally scuppered. Traven’s other major work is his series of six novels collectively known as ‘The Jungle Novels’. These brilliantly illustrate the development of the social forces that eventually lead to the outbreak of the Mexican Revolution. Mexico was still a young post-revolutionary state when Traven began this work in the 30s, only 25 or so years after the Revolution. He was obviously commenting also on the Mexico of his time and the failures of the Revolution to alter the continued poverty of its peasants and workers. The Jungle Novels are all complete stories in themselves but progress through describing the pre-revolutionary social structures and miserable conditions of exploitation existing in the country. The books describe the horrific slave conditions suffered by plantation workers and loggers in particular; Traven takes the reader through the process of exploitation as it transforms into rebellion and finally explodes in revolution. This steady stream of books and the mystery of the author’s identity inevitably attracted some media attention. Now settled in Mexico City (he married in 1957), after WWII his global book sales expanded greatly in many translations. Curiosity also increased and Traven was tracked down by a couple of journalists. He denied everything and fled from their cameras and questions. But they discovered little more than that there was a man who appeared to be the author living in Mexico City. It was not until after ‘B. Traven’ died in 1969 that the rest of the world even began to get close to the true identity of the man. He had instructed his wife to admit to the world after his death that he was indeed the same anarchist Ret Marut who had escaped from his captors and fled the defeat of the Bavarian Council Republic in 1919. 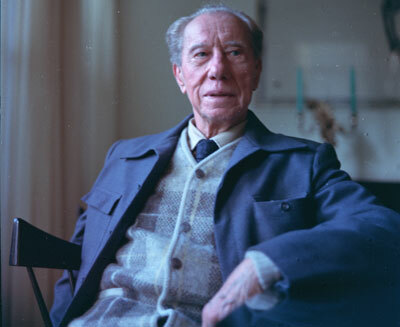 In the late 1970s Will Wyatt, a BBC producer, made a TV documentary about Traven and wrote a book based on his research. He presented what seemed to many convincing evidence that Traven/Marut was in fact one Otto Feige, born into a working class family in the small town of Schweibus. The town was originally in Germany but as a result of WWI became part of Poland, renamed Swiebodzin. Otto Feige was one of several names Traven had offered to police while being questioned in London in 1923, prior to leaving for Mexico. Wyatt had searched files and records for these names and traced an Otto Feige to the town. He found the elderly brother and sister of Otto, who confirmed from their family history and photos that Marut/Traven was their brother, who had disappeared as a youth after scandalising the town with his involvement in radical politics. He was last heard of when a letter arrived some time after WWI informing them that he was about to be expelled from England; this was presumably in 1923, when ‘Ret Marut’ left London on the journey that ended upon his arrival in Mexico the next year. The evidence Traven had provided to the UK and US authorities – names, occupations etc. - tallied with the facts of the family background of Otto Feige. It was also confirmed that Otto Feige’s father had worked in a factory that made coal brickettes for use as fuel – a likely source for the name of Ret Marut’s anarchist paper, ‘Der Ziegelbrenner’ – i.e. ‘The Brickburner’ or ‘Brickmaker’. The Feige family also related that shortly after Otto had written from London telling of his troubles with the authorities, his mother had received a visit from the police enquiring if she had a son named Otto. They were presumably checking out Marut/Feige's story on behalf of the London and US authorities. Scared that this was in relation to Otto's radical politics and his being held in London, she denied his existence for fear of bringing trouble on the family. The family later found her sobbing with fear and shame. That was the last the family heard of Otto until Wyatt and his BBC film crew appeared 50 years later. A later biographer, K.S. Guthke, has disputed the Otto Feige conclusion as the final word on the matter, as have some other Travenologists. They claim Wyatt has not definitely proved his case and that it is possible that Marut/Traven - though he must have been very familiar with the town of Schweibus, Feige and his family – could simply have adopted Feige’s identity. To this writer, Wyatt’s case and the photographic evidence seem convincing. But whatever the truth, the books remain to be enjoyed and to inspire - a rare case of literary expression being of equal quality to its radical political content. To judge him only in literary terms is to miss his point; neverthless, unlike much literature attempting to convey a political ‘message’, Traven is a pleasure to read. B. Traven was a great storyteller, and also - that true rarity - a great political novelist. But he knew his books were only effective if they inspired reflection and engagement with the world in the reader. As Traven said (while masquerading as ‘Hal Croves’) “Life is worth more than any book one can write”. The Man Who Was B. Traven; Will Wyatt, Johnathan Cape, London, 1980. B. Traven – The Life Behind The Legends; Karl S. Guthke, Lawrence Hill Books, 1991. The Man Nobody Knows: The Life and Legacy of B. Traven; Roy Pateman, University Press of America, 2005. The Death Ship; definitely my favorite book by Traven. I particularly enjoyed the general critique of 'responsibility' in hierarchical society that he makes, basically that we get ourselves nearly killed doing the dirty work (in this case picking a white hot fallen fuel pit grate off the fire and putting it back in place, scalding your skin and burning your lungs) and then we go tell our immediate superior that you've gotten it taken care of and the job's been done, who then goes and tells his superior that he took care of it, who tells his superior that he did it, and then he tells the captain who writes down in the log that HE went down there and took care of it. Thanks for this enlightening article. 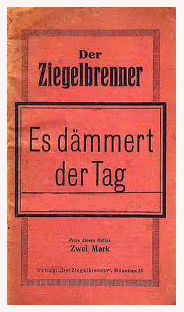 The name of the journal is "Ziegelbrenner", not "Zeigelbrenner", as you can see in the picture above. Wonderful colour photograph of Croves - in some strange way, it seems to be close to the photo of Feige. Like yourself, I believe that identification to be correct, but would like to see it established. It is often said that ears are a sound basis for photo-identification and one ear on the Feige photo is very clear. Could not some expert be found who could offer an opinion as to whether the ear of Feige and the ears of Croves are those of the same man? They look similar to me. Can't see which paper that article is from or find it online; probably Guardian, Observer or Times.